Shelter is many things - a visually dynamic, oversized compendium of organic architecture past and present; a how-to book that includes over 1,250 illustrations; and a Whole Earth Catalog-type sourcebook for living in harmony with the earth by using every conceivable material. 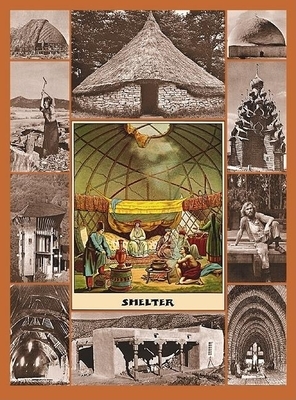 First published in 1973, Shelter remains a source of inspiration and invention. Including the nuts-and-bolts aspects of building, the book covers such topics as dwellings from Iron Age huts to Bedouin tents to Togo's tin-and-thatch houses; nomadic shelters from tipis to "housecars"; and domes, dome cities, sod iglus, and even treehouses. The authors recount personal stories about alternative dwellings that illustrate sensible solutions to problems associated with using materials found in the environment - with fascinating, often surprising results.